There aren't enough words to describe how much I loved this book! 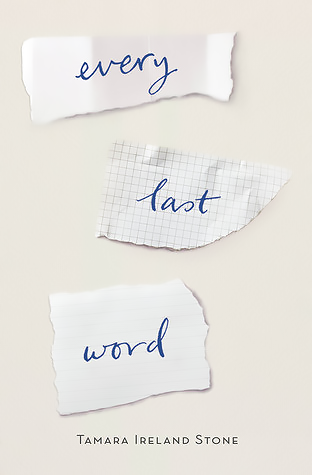 Every Last Word is an important novel that shares Samantha's story of suffering from OCD, more importantly, the obsessive part of OCD. She is a wonderful heroine to follow, because she cares so much and I loved seeing her grow more into a person who isn't acting by others' approval, but does things she wants and likes to do for herself. Very proud of her! the therapist-patient relationship and how supportive Sam's family was; it's the perfect portrayal of how it should be -- everyone working towards the same goal, trusting each other and not abusing that trust in any way! SWIMMING! If you didn't know, I went swimming for 8 years. I was on our school's swimming team and we took part in competitions + some individual competitions I've been to. I quit practice in my senior year of high school because I wanted to pursue other things, but this novel reminded me of how much I loved swimming and how much I'd love to pick it up again for myself. It was described very well and Sam's passion for it was very endearing. Also, I have to mention, I didn't see the twist coming???? I saw it coming like right before it happened but HOLY SMOKE! That was brutal and so unexpected. Note @ Tamara: this was cruel and I cried a lot; way to pack a punch like this! I liked how important this part was regarding the whole scheme of things. The author note was so important and super emotional, so don't miss that for sure! I never really thought about ableism slur that much to be honest, but this book shows us why ableism language is bad, because by using the "i'm so OCD about this and that" and "my OCD side is the reason for ..." when we don't really suffer from OCD -- it lessens the weight and struggle of people who do struggle from OCD. *If you want to read more about ableism slurs, head over here and here; also, this post gives you quirky words you can use instead of the term OCD when referring to your analytical, order-loving, sometimes-obsessive self. Anyhow, this novel was everything I hoped it would be an more! So much love and respect for the author for tackling this story so gracefully and painting an important, well-written portrayal of the struggles of someone with OCD. 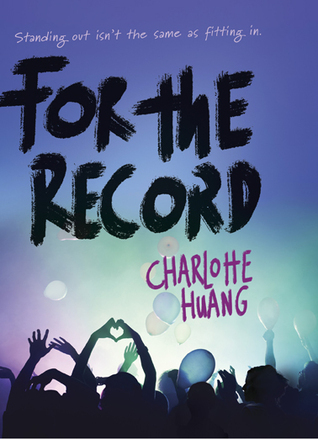 With an authentic voice Every Last Word is bound to please a lot of YA contemporary fans! I wasn't aware of this novel before Sue pointed it out to me and since it sounded extra cool, I downloaded an ARC from Netgalley. I can tell you that it was an enjoyable read, but definitely not among my favorites of the year. I applaud for the music industry parts, especially the way the author described the feeling of being on stage and growing into being a live artist for masses. However, there was so much of it that by 50% I really didn't know what the moral or point of this story was going to be or where we were heading? I liked the crew for the most part, especially the band, but I would have liked to have gotten to know them more. I feel as though we don't know them enough as individuals? I would have liked to have seen more background, more character building etc. They each had their defining characteristics in personality and looks, but I was hoping for a bit more depth to them. I liked how Lauren was a nice girl and that Chelsea wasn't mean to her either. I'm still not over Mandy though; WHAT EVEN WAS THAT? Sigh. She got on my nerves a lot, because it was always about her. Always. Plus the thing she did.. double sigh. I didn't really care about any of the romances, though I can see how they would be endearing to a lot of people. I liked the ending scene though, even if it was highly predictable. As a whole, it's a pretty decent effort and I'm eager to see what else Huang has in store, but this particular novel unfortunately wasn't my cup of tea per se. and in no way did this affect my thoughts. I'm so so so happy you loved Every Last Word. It was truly one special book and hit me right in the feels! I usually see book twists coming but OMG this twist so so evil and made me really sad. I loved the love interest too. What a sweetheart! And yes to everything you said about ableism language. The "I'm so OCD" comments drive me crazy because, no just because you're clean and tidy doesn't mean you have OCD. >.< I'm glad you brought that up in your review! We felt similarly about For the Record. She's definitely good at describing the music scene. Did you see that Pete Wentz is her friend?!? I saw him tweet it the other day and I was surprised! Anyways, I wish the characters were stronger. It could have been a really really good book. SIIRI!!!! 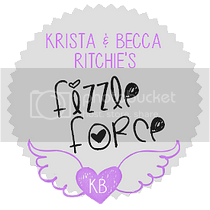 *hugs a million times* Hah I talk with you all the time so it's not like I miss your physical presence, but I'm so excited that Lisa has kicked a little sparkle in your direction. I'm definitely excited to read Every Last Word as well, especially your note about the family and therapist part, because it gets misrepresented a lot in YA books about mental health apparently :( And emotional books are my favorite, no matter how much I complain, I can't wait to talk to you about this book when I read it! And For the Record, I've seen mixed feelings from most people, although I still haven't read it *guiltily glances at NG pile* I'm a little less inclined to read it now, but I probably shall one day...anyhow I'm happy to see this and I can't wait for your Halsey tag post! I’m so glad you are back, Siiri! I had no idea that you are a swimmer! It wonderful when you see an aspect of your life portrayed well in a book. I had similar experience with I’ll Meet You There, where the main character danced and paper craft (my two passions). I haven’t heard about For the Record, I think I may check it out, despite your low rating, I have a soft spot for celebrity romance. SIIIIIIIIRRRRRRRRRIIIIIIIIIIIIII! *pounces on you* It makes me ridiculously happy to have you back, you have been missed! I hope this next year finds your blogging slump giving way to excitement once again (though I completely understand the slump, I've been in one for a while now) and that your school work load lightens up a bit!